UCCFS Round 4: Tacos (2) vs Salsa & Chips (5) – I Love It Spicy! Round 4 of the Ultimate Chilehead Comfort Food Showdown is kicking off the Elite Ate with the bestest of Tex-Mex comfort foods. Tacos, whether soft or hard shell, whether it be beef, chicken, pork, carne asada, or fish, the options and combinations seem to be endless. While the various choice selections for tacos might be the reason for it’s fine showing so far, the Salsa & Chips are pretty much straight forward. 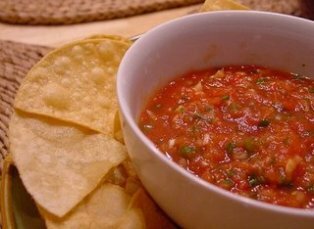 While the chips and salsa can be somewhat versatile, when we think of this comfort food, I think we all are fixated on our own particular style of salsa that works best with a particular chip. Despite those limitations, the addictability of a good jar of salsa is hard to beat. Which way will you go? Please share your thoughts and opinions. I think this was the toughest one for me so far, but the tacos edged it out slightly. Now we will be having tacos for dinner. Kind of an odd match up – Tacos are salsa and chips but salsa and chips are not tacos. 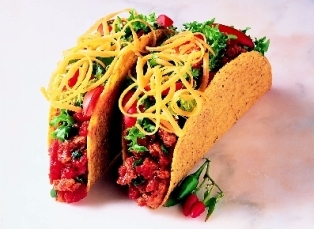 I put salsa on my tacos – a taco shell is a chip. By voteing for tacos – in a sense – you also voted for salsa and chips. Just an observation. I had chips and salsa for lunch this afternoon. I like both, but for me tacos are more of a complete “product”. But tacos are also meat and cheese. That makes a world of difference.